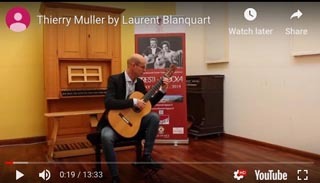 With the first prize of Paris CNSM and laureate of numerous international prizes, Laurent Blanquart is living a brilliant guitarist and teacher career. 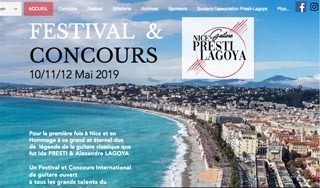 His concert artist's activities lead him to perform with the greatest international French orchestras: French National orchestra, Capitole of Toulouse, Philharmoniques of Lille, Cannes or Nice, also in Spain, Italy, Pologne. 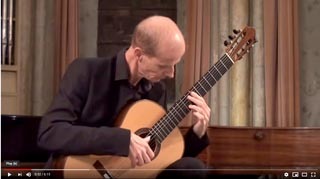 For more than 30 years, Laurent Blanquart has been performing recitals in the biggest cities of Europe and North America. His chamber music partners are Béatrice Uria-Monzon, Inva Mula, Roberto Alagna, le quatuor Debussy, le trio Georges Sand, Éric Franceries, Vincent Lucas, Marielle Norman. 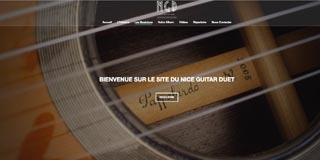 Laurent plays a Hill Signature Guitar. 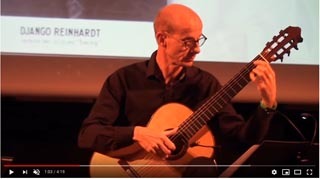 Laurent Blanquart is the founding member of several ensembles: the « B Guitar Quartet » and the « Nice Guitar Duet », among others. Very involved in cultural humanitarian projects, he shares a teaching mission in Africa for some years with his friend Vincent Lucas. In France, he's invited in major meetings like Les Journée Musicales Marcel Proust, Soirées Estivales 06, « C'est pas Classique », le Festival de Prades etc. Some of his albums, as «Twelves songs » of Toru Takemitsu were greeted by the critics. Laurent Blanquart works at Paris CNSMD and also at Nice's CRR. 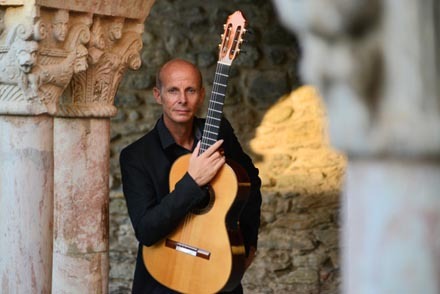 He teaches the guitar for several years at the International Summer Academy of Nice, and in 2016 has been chosen by Roland Dyens to succeed him at the International Guitar Training of Narbonne (Stage Roland Dyens). His artistic choices are linked to Alexandre Lagoya's personality from whom he learned at Paris CNSM. Today Laurent Blanquart works on different projects, including a tribute of archives and live music with Isabelle Presti, the grand daughter of the legendary duet.